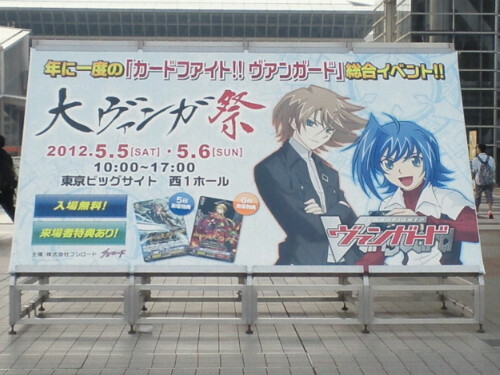 Today at the second day of the Big Vanguard Fest in Japan, it was announced that Cardfight!! Vanguard has been confirmed for a third season. While details remain sketchy at this time and the season has no official title as of yet, Aichi has been confirmed to remain as the main character. Furthermore, DAIGO was stated to be voicing a new character in the anime, though as to whether this is connected to Season 3 or Asia Circuit remains unclear. In other news, the English release of Extra Booster 03 - Cavalry of Black Steel was leaked through retailers today, and is currently available for preorder on Gamers' Haven. Trial Decks 03 and 04, Maiden Princess of the Cherry Blossoms and Golden Mechanical Soldier are likewise available through Toywiz, and are slated for an August release. 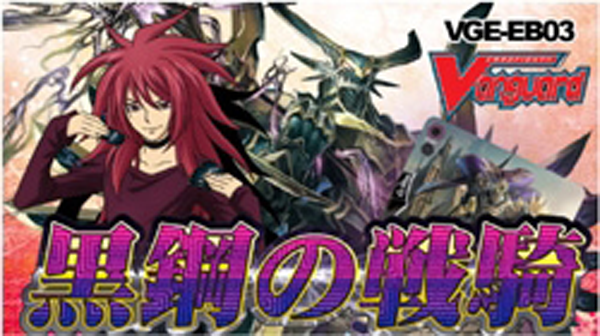 Update: Bushiroad.fm has confirmed that the EB03 information is real. However, the official word is that this trial deck release is false, as the English trial decks are still awaiting approval. EB03 is tentatively slated for a July release, barring any manufacturing problems. Toywiz has since removed the trial deck preorders from their website.